Prior to joining Star Mountain, Ms. Savasli was with Snap Capital (acquired by LendingTree), a FinTech firm focused on the small business lending space. During her time at Snap Capital, she led a small team responsible for funding loans and lines of credit to small businesses. Previously, Ms. Savasli was one of the first sales people to join and build out Glassdoor’s Account Management team. At Glassdoor, Ms. Savasli worked with a variety of clients, including Bridgewater, Cantor Fitzgerald, GoDaddy, Zappos and Orbitz on their recruitment and employer branding initiatives. Before Glassdoor, Ms. Savasli was most recently a Vice President at Bank of America Merrill Lynch in the San Francisco office on the Electronic Trading team. 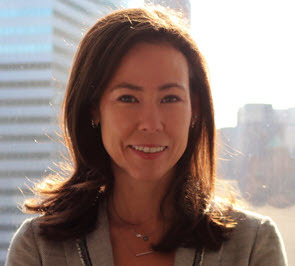 She covered a broad array of Institutional clients on the West Coast such as Mellon Capital, Russell Investments, Guggenheim Investments and TIAA-CREF. She started her career in New York on the Global Structured Products (CDO, CLO, ABS, MBS, CDS) Sales desk at Bank of America Merrill Lynch. Ms. Savasli holds a BA in Economics from The University of Chicago.